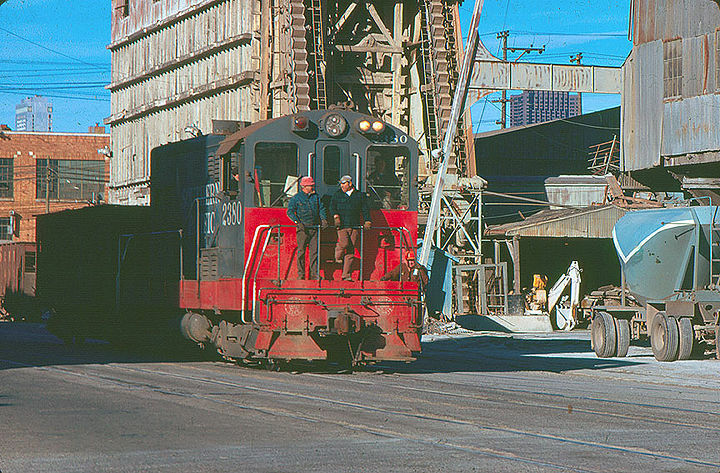 Trains that ran regularly by the cement factory went diagonally across 17th into a railyard where the PG&E work yard and parking lot is now, between Harrison and Treat. Notice silver Hilton Hotel in back left and brown Bank of America building downtown behind factory at right. 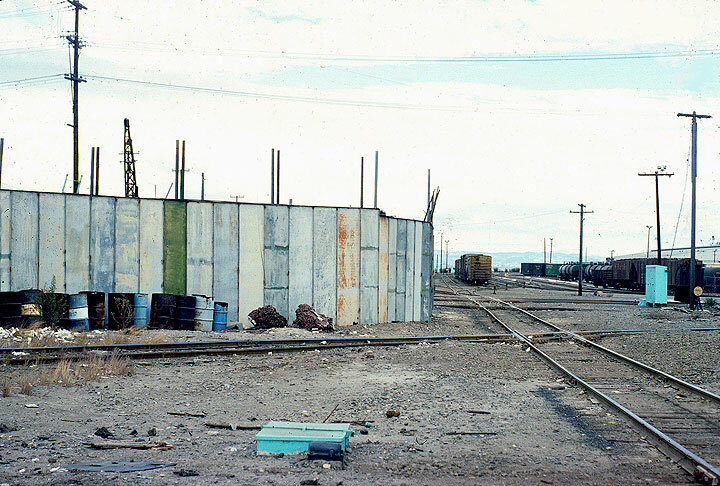 Old railyard between 17th and 18th, Harrison and Treat, 1970s. 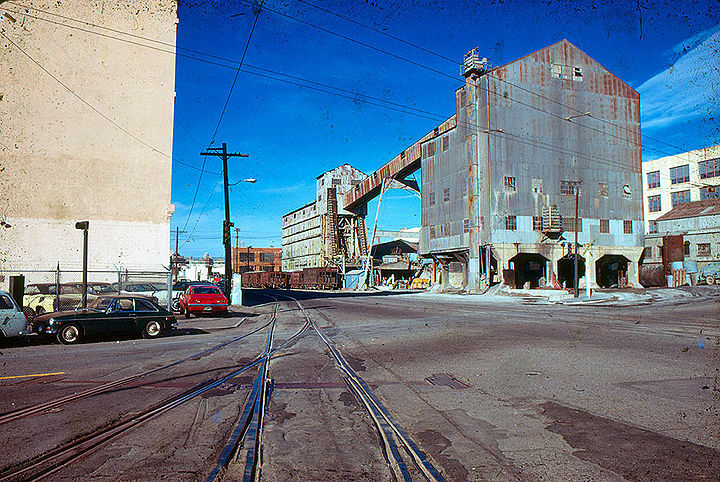 17th and Harrison, cement factory at right between 16th, 17th, Harrison and Alabama, there until the late 1990s. 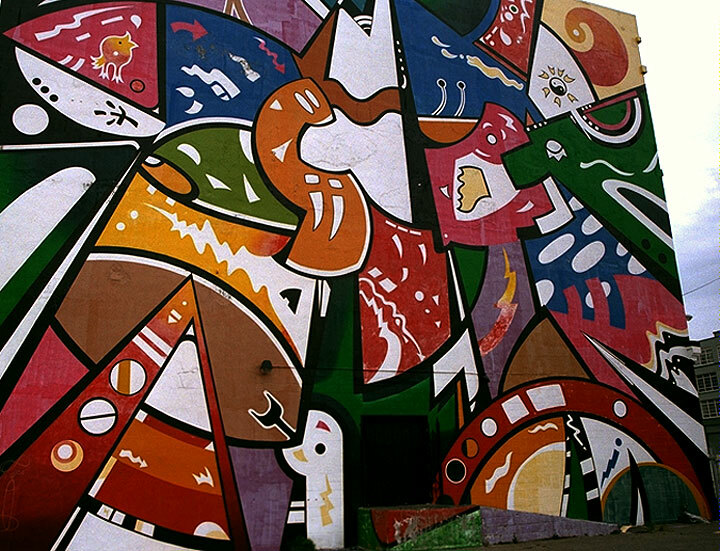 White wall at left was painted with mural in next photo below in the 1980s, later whitewashed as seen in image further below. 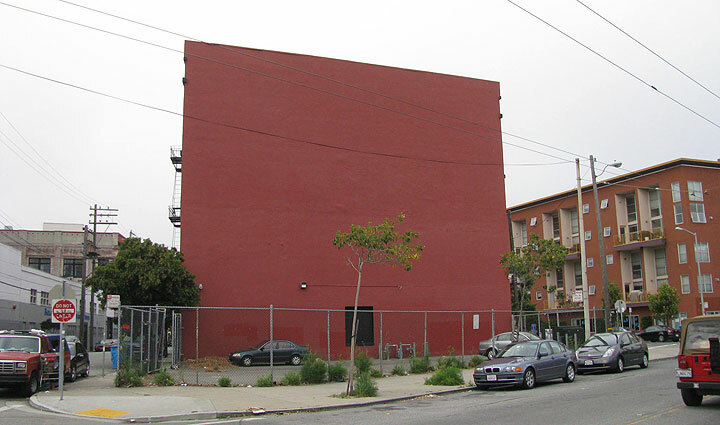 New Mission Mural by Chuy Campusano, illegally painted over by the Cort Foundation when they bought this triangular building at 17th between Treat and Harrison. 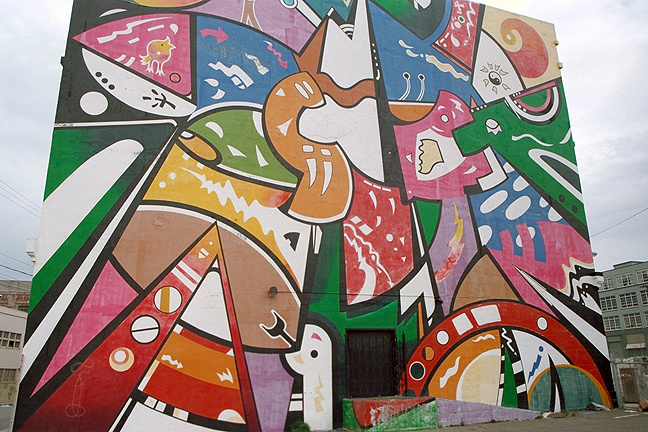 By 2009, the mural is unknown to the many new arrivals in the condominiums filling up the North Mission. Brown condos at right occupy site of old cement factory.